The Institute of Aviation Medicine team would have a year to anticipate any surprises that orbital flight might pose for a living creature, and to train the dogs to overcome them. The laborious process of training satellite dogs proceeded in stages, initially focusing on acclimating them to confinement. The first steps proceeded through a progression of smaller and smaller capsules. The "Cyclops" chamber had a single observation window that trained the dogs to be under poor illumination. Aluminium "tight cells'' had many large openings but only enough space for the dogs to turn around. The dogs typically protested with barks and whining when placed in this restrictive space for periods of 2-3 days . Next, they moved on to tighter confinement that allowed only a few inches of movement. 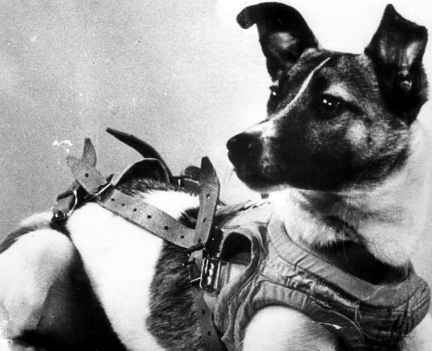 The dogs wore a garment, consisting of a light vest with metal restraining chains, which permitted them to stand, sit, recline, and move forward and backwards a little; just the sort of restrictions on their movements that they would endure in an orbital capsule. The duration of their stay in these compartments was gradually increased to 20 days. Only those dogs that could tolerate confinement for this amount of time would be allowed to continue in training. Other stages of the training focused on their reactions to the stimuli they would encounter - acceleration, vibration and noise. First, the animals had to be conditioned to eliminate their first defensive reactions to the equipment. Then, their general physiological reaction to a stimulus could be studied. Finally, the individual reaction of each dog was carefully noted. Out of the 10 dogs that completed the training in confined cages, 6 were selected for tests in a pressurised capsule. Conditions inside the capsule could be varied by changes in pressure, temperature and the composition of gases. According to Gazenko, the dogs did well during these experiments, except when the levels of carbon dioxide or temperature went beyond preset limits. 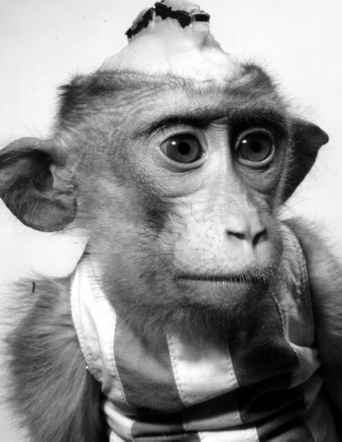 "For example, during the training of Laika (experiment 119, of 19.5 days duration), the behaviour of the animal was calm with the exception of the first two days and an increase of motor disturbance during the 14th day when the concentration of carbon dioxide rapidly increased as a result of a stoppage of the ventilator motors in the regenerating plant... This required separate tests to determine the upper limits allowable in the concentration of oxygen and the upper limit on temperature in the small capsule" . During the later stages of their training, the dogs were introduced to the rubber sanitation device that consisted of a urine and faeces receiver attached to the pelvic area and fastened with a shoulder harness. Once on board the actual satellite, the suit would attach to an airtight reservoir containing activated charcoal and dried moss. It was a cumbersome device, and it took the dogs a long time to simply get used to having it attached. The far more difficult challenge with the sanitation device was getting the dogs to actually use it. Nature had accustomed them to adopt a certain position to urinate and defecate, and now they had to be reprogrammed to do it differently. Initially, the dogs retained all wastes rather than use the unfamiliar device. Even the use of laxatives did not encourage them. Only slow and consistent training finally acclimatised them to the novelty of this new approach . Careful study of the dogs' energy requirements led to the creation of a unique food, containing 40% breadcrumbs, 40% powdered meat and 20% beef fat. One hundred grams a day supplied a dog's needs. Water and agar were then added to form a gelatinous consistency that supplied both food and water requirements . Now that the first orbital flight was imminent, one dog had to be selected from the final group of six candidates to undertake this historic mission. The selection process involved a meticulous review of the training records of each dog. Scientific workers from the training programme each gave their report on the physiological reactions of the dogs to the various tests conducted during this time. They reviewed the records of how each dog had comported itself during prolonged stays in the confinement capsule, and studied extensive diaries that recorded the behaviour of each dog. They also reviewed the data from veterinary examinations.